Coming to this scribe’s attention due to guitarist/vocalist Navid Rashid, who may be best known to our readers for his work with the progressive metal act Iris Divine, Drowning Ares consists of four Washington D.C. metal musicians that decided to come together for another musical outlet. Usually scratching an itch creatively, the debut EP Nocturna falls into a distinct blend of progressive metalcore – intertwining numerous melodic, modern, and harsh elements that could allow a variety of followers to enjoy the proceedings. After a quick voice montage set up, the progressive chord progressions and groovy guitars get “The Emissary” off to an exhilarating start, the dual vocal employment from Jae Curtis and Navid alternating between passionate metalcore screams and clean / alternate bliss to match the diverse movement of the song. It’s apparent right away that there’s deeper thought put into the part to part synthesis, building and descending atmosphere to allow sequences to cement themselves over the course of the almost five-minute cut (the fading guitars and tribal drum rolls at the end a clear example). Be it whispering vocals against the harshness during “The Crossing (A Linear Me)”, or the jagged chord juxtaposition against the steel pounding percussion that is “Of Fire and Kings”, you get the sense that the band loves Thrice and the Deftones as easily as pining away for Dream Theater and Trivium. 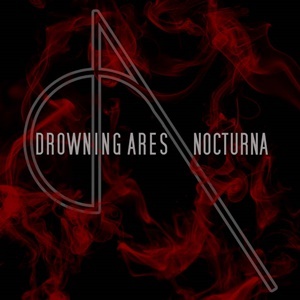 This band succeeds where others fail because of those smaller details – for Drowning Ares, it’s about distinct, catchy songwriting that can be aggressive and groove-worthy, but also forward thinking, exciting, and memorable through key earworms on both the vocal and music fronts. Although most of the six songs are radio-friendly in terms of time, the closing title cut at almost eight-minutes gives the group a chance to broaden their horizons – longer instrumental sequences with layers of textures and changing tempos, and the rhythmic/forceful nature mirrors switch-ups in harsh screams/semi-growls of varying intensity while Navid floats in to provide that calm /alternative melody contrast. Progressive metalcore may not be my favorite genre – but you can hear proper talent and execution after listening to so many heavy recordings for thirty-seven plus years. Drowning Ares could be that fringe modern band that captivates some old-timers beyond the younger generation that will love this.